Back when Ava was first born, we had TONS of new clothes. Everyone was hooking us up — friends, family, colleagues, even companies that wanted to work with my brand. She had so many new, clean clothes that within those first three years, multiple people told us that they’d never seen her in the same outfit twice. I always brushed that off as being a major overstatement, but there was no denying that we had a gaggle of clothes. Never knowing if we’d be blessed with another baby girl, as Ava grew out of her wardrobe, we packed it away in bins and stored it in the basement or attic until we knew that our family was complete. 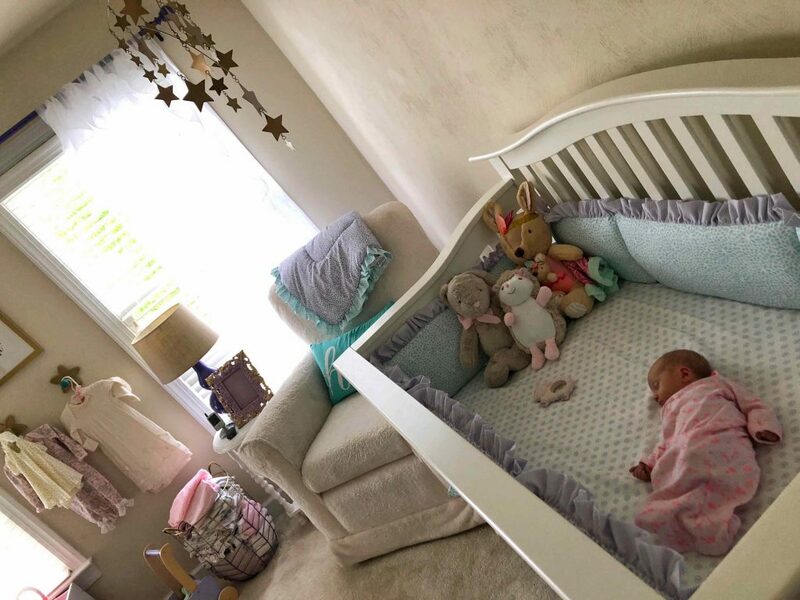 The bottom line was that we never truly saw all of the baby girl clothes in one place until we got pregnant with baby #4 and little Evelyn, our wished-for blessing, became a welcomed reality. 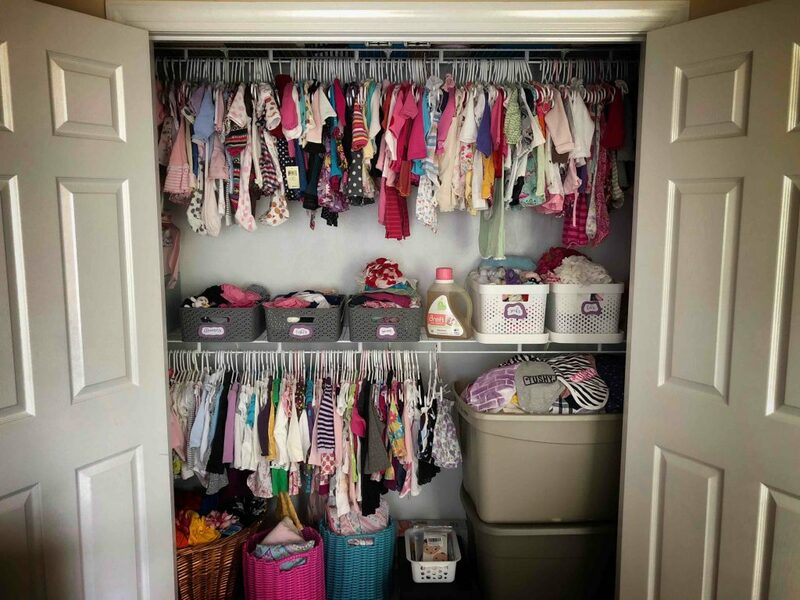 My wife went on a nesting rager super early and was excited to pull out all of Ava’s old clothes to prepare them for another little girl, and I can’t lie—it was a really cute trip down memory lane. Looking at the different outfits struck an emotional chord with me, taking me back to specific ‘moments’ in time in which we’d bonded as father and daughter. The same applies to some of my boys clothes. Just a simple glimpse of them returns me to the times where we bonded and cuddled on the sofa in front of the TV on movie night. The scent still gets me, too. According to a recent survey conducted by Dreft, 94% of parents say that the Dreft smell reminds them of baby AND 8 out of 10 parents feel that using Dreft can make them feel more bonded with their baby…so it makes sense – I’m not crazy. Knowing that our little girl is our last planned baby, making time for those bonding moments is especially important to me. I want to ensure that I have a strong connection and bond with my fourth child as I did with all of my children so having that familiar baby like smell of Dreft on her clothes and fabrics while I’m away makes me feel more connected to her. The excitement of becoming a dad again was building and the added estrogen would level the playing field. What I wasn’t prepared for was JUST. HOW. MANY. CLOTHES. I’m not talking about two or three trash bags, I’m talking about TWELVE, 36-gallon plastic bins packed to the rim with onesies and tutus. Some still with the tags on. Talk about a monumental chore. I’m not sure you can fully appreciate how easily breast milk can destroy a wardrobe, but when you combine that with the muskiness of heated plastic…UGH. Slowly… Jen started the process of unpacking and prepping everything, using a bit of bleach on the tougher stains and some old fashioned Pennsylvania Dutch soap that helped get all of the nastiness out and restore the clothes to their perfect condition. But when she was done, bright white as they were, THEY REEKED. Like chemicals. Like bleach. And NOT like a baby. We both realized pretty quickly that this wasn’t the way we wanted our baby girl to experience her head-start as a pint-sized fashionista and set out to help infuse that amazing “baby scent” back into her wardrobe. For more than 80 years, Dreft detergent has been around exclusively for babies, to take care of their delicate clothes and fabrics. We wanted to make sure she had hypoallergenic products up against her likely-to-be-sensitive newborn skin and how can you go wrong with the #1 dermatologist recommended for baby clothes and the #1 pediatrician-recommended baby detergent? Not to mention, Dreft’s iconic scent will help us extend and remind us of this “baby time” as Evelyn grows into her toddler years. Jen and I have decided that baby Evelyn would be our final planned pregnancy, so we’ve both set out to really enjoy these special baby moments and bond more than ever. We are just relishing in the smells of newborn and Dreft helped us get to the finish line. I want a connection with Evelyn that is just as strong as with my other children and when I smell the familiar baby scent of Dreft it gives that confidence that everything is going to work out just fine. The bottom line is… those friends were right—we really never put Ava in the same outfit twice, and looking at now Evelyn’s closet—this is the first 12 months and it doesn’t even include what is in her dresser. I’m just looking forward to unloading some of this madness as she grows out of it—while at the same time cherishing the sweet baby time and that familiar scent that will always put a smile on my face. 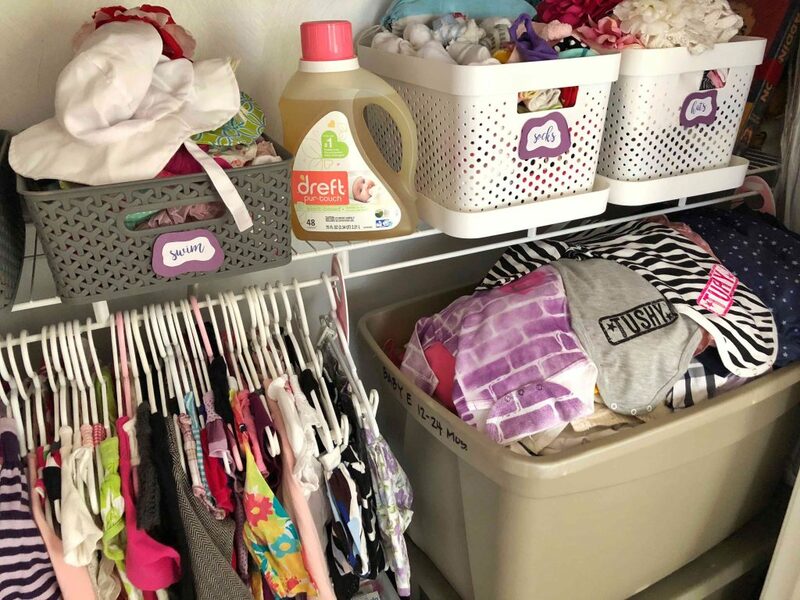 EDITOR’S NOTE: This is a sponsored post on behalf of Dreft detergent and their #TheSmellofBabyhood campaign. For more information, check them out HERE, on Facebook, Twitter and Instagram. « Welcoming TWO New Babies to the Bunch?